Providing our Policyholders with near to perfect protection and doing so at the lowest possible rates, Erie Insurance is the insurance you need and the service you deserve. For over 85 years we have been the number one choice for motorists and commercial consumers. And for decades to come, we pledge to deliver the same. Erie Insurance offers a broad range of products to meet your personal insurance needs, including auto and boat insurance and a variety of home and tenant insurance policies. 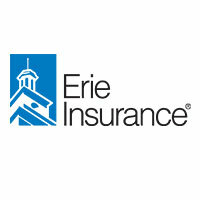 ERIE also offers a variety of business insurance products to meet the needs of small and medium businesses. Erie Family Life Insurance offers a complete line of products to meet individual and business life insurance needs.